College can be stressful and just cause for a summer celebration. Whether you and your friends are looking to let loose with a party, or are looking for some regular good ole sightseeing, we've got just the right destinations for you. 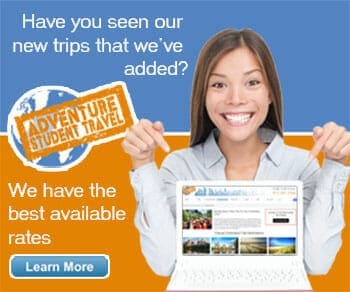 Check out these college student travel tours and imagine all the fun you guys could have! Yes, we're starting off the list with a U.S. territory instead of an actual state but before you balk and say that you can't afford it, hear me out. You don't need a passport for this beauty, just an inexpensive flight down to Puerto Rico and an equally inexpensive hotel (hint: which would be even cheaper sharing a room with friends). San Juan, the island's capital, is the largest city and also the most popular for travel. Cruise ships dock here consistently while flights come in practically year round filled with people looking to party or relax on the beach. It's so magical that it's been labeled the Island of Enchantment. Plus, it's super affordable. Back to the states with an all American pick, Denver. The Mile High City might not have as wonderful of weather as Puerto Rico but it does offer variety. Sports, history, and outdoor recreation are among the top attractive qualities of Denver with plenty of options to go around. Elitch Garden Theme Park is a spectacular, historic amusement park practically in the middle of the city, though you also have the Denver Zoo, the Denver Museum of Nature and Science, and of course Coors Field and the Pepsi Center. Get outside and see the Rocky Mountains up close and personal, if you're of age take a brewery tour, and when the sun goes down, head to LoDo (Lower Downtown), Larimer Square, or the South of Colfax Nightlife District to have some fun. A spectacularly beautiful oceanfront city on the Florida panhandle, Panama City is the largest destination between Tallahassee and Pensacola. It's also a huge college student destination, the beach drawing most of the attention. On par with Daytona Beach, Panama City is the epitome of fun. The beaches of white sand lead up to stunning turquoise waters, warm from the Gulf of Mexico, and practically begging for you to set up your lawn chair and play a game of beach volleyball. If that's not exactly your thing, there are plenty of nightlife attractions, scheduled live events, golf, ecotourism activities in the Florida landscape, and so much more! Vegas has a reputation for being over the top, which it can be, but it's always fun! The Vegas Strip is in the top ten for many a person's bucket list, to see all the hotels and casinos lit from top to bottom, to witness the Bellaggio fountains perform and the Eiffel Tower in the middle of the Nevada desert. There's nothing quite like the absurdity of Vegas to relax your nerves and get you ready for another year of college studies. Vegas is also, by happy coincidence, insanely cheap. You can snag a fancy hotel room at some of the best hotels in town for less than $100 and have enough money left over to see everything you have planned. There are numerous free shows meant to draw in casino players, though there are also famous performers like David Copperfield, Cirque Du Soleil, and the new Mike Tyson Show, for which you will have to obtain a ticket. Just beware, the food prices on the Strip can be exorbitant unless you know where to look. While, at first glance, Austin might not seem like the ultimate destination for traveling college students, take another look. As the capital of Texas, Austin has attracted a wonderful diversity of cuisine, entertainment, and culture. Live music sets the city apart and you can find over 250 music venues, making it the Live Music Capital of the World. Enjoy the city with everything from a Schlitterbahn Waterpark to tour cruises on Lake Austin, cultural neighborhoods with the best food in the state, art museums and aquariums, and so much more. End out your day, however, with the entertainment laden Sixth Street, a cobblestone avenue lined on both sides by art galleries, comedy clubs, movie theaters and karaoke bars, food trucks and restaurants, and everything you need for an exciting night out. Pacific Coast Highway Road Trip! 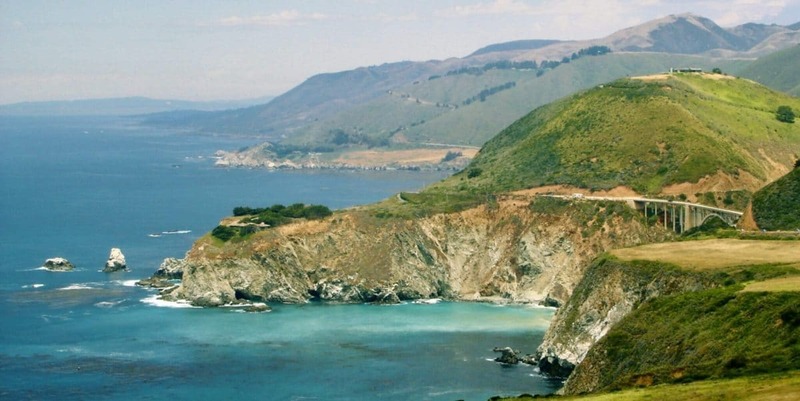 To round out our list, head to the West Coast for the ultimate road trip adventure along California Highway 1. The magnificently scenic trip is among the most desirable vacations for its awe-inspiring vistas of the rolling California mountains, deep verdant valleys, and rocky cliffs and white shores leading into the blue Pacific. It's a breathtaking experience to witness the beauty of the West Coast unfold along the 655 miles it takes from south of Los Angeles to San Francisco. Along the way, you'll encounter the exciting Santa Monica Pier, indulgently beautiful Carmel-by-the-Sea, historic Monterey, and more before you hit up the famous City by the Bay. The trip can take you even further beyond, if you wish, all the way up to Oregon and Washington, through redwood forests and into the Cascade Mountains.